Now a year later Maggie McCafferty struggles to put her life back together...hiding her pain with outrageous behavior and her own secret she's unwilling to share. Until her friends step in and her strong willed soon to be ex-husband sets out to bring Maggie home-- the only way he knows. Just as Maggie begins to trust again, Dan McKenzie calls after disappearing for over a year. But now he's back. 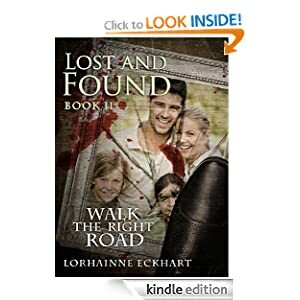 Lost and Found or to sample this book for FREE! -- Lucretia’s best friend and upstairs neighbor Sunny—a sweet pitbull of a kid, even as she struggles with a mysterious illness—has gone missing. The only way to get her back is for Lucretia to climb the rickety fire escape of their Queens tenement and crawl through the window of apartment 6D, portal to a vast shadowland of missing kids ruled by a nightmarish family of mutants whose designs on the children are unknown. Her search for Sunny takes Lucretia through a dark fantasyland where she finds lush forests growing from concrete, pigeon-winged rodents, and haunted playgrounds. Her quest ultimately forces her to confront the most frightening specter of all: losing, forever, the thing you love the most. 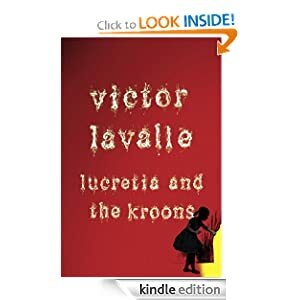 Lucretia and the Kroons or to sample this book for FREE! Emily Nelson, a courageous young mother, ends a loveless bitter marriage and strikes out on her own. She answers an ad as a cook and live in caregiver to a three-year-old boy on a local ranch. Ranch owner Brad Friessen hires and moves in Emily and her daughter. But Emily soon discovers something's seriously wrong with his boy. And the reclusive difficult man that hired her, can't see the behavior and how delayed his son is. So Emily researches, until she stumbles across what she suspects is the soft signs of autism. Now she must tell him. Give him hope, and help him come to terms with this neurological disorder--to take the necessary steps to get his child the help he needs. As their lives become intertwined, it's unavoidable the attraction -- the connection that sparks between them. And just as they're getting close, Brad's estranged wife Crystal returns after abandoning them two years earlier. In amongst the shock and confusion there's one disturbing fact Brad can't shake. How does she know so much of his personal business, the inner working of the ranch and Emily's relationship with his son? Crystal must've had a plan as she somehow gains the upper hand, driving a wedge in the emotional bond forged between Brad, Emily and the children. The primary focus for care and therapy of three-year-old Trevor is diverted. The lengths Crystal will go -- the lies -- the greed, just to keep what's hers are nothing short of cold and calculating. Emily's forced out of the house. Brad fights to save his boy -- to protect what's his. And struggles over his greatest sacrifice -- Emily, and the haunting question -- has he ultimately lost her forever? 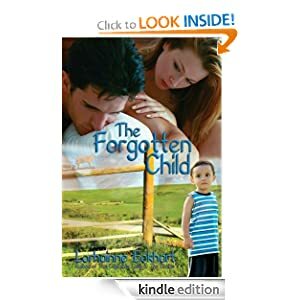 The Forgotten Child or to sample this book for FREE! 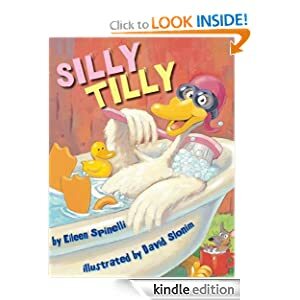 "Tilly is not an ordinary goose. She takes her baths in apple juice. She wears a pancake as a hat. She tries to ride the farmer’s cat." But the barnyard animals complain that she’s too silly. When she stops entertaining her friends with her antics, the farm becomes a quiet and unhappy place. David Slonim’s acrylic, pencil, and ballpoint pen illustrations add to the hilarity in this story about a one-of-a-kind silly goose. Silly Tilly or to sample this book for FREE!